Global warming’s physical impacts can be separated into three broad categories: melt, drought, and deluge. 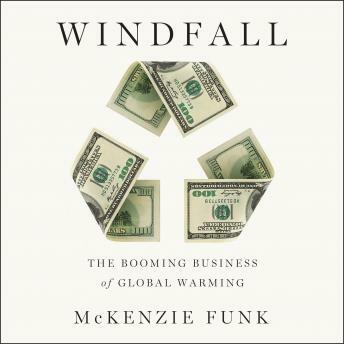 Funk travels to two dozen countries to profile entrepreneurial people who see a potential windfall in each of these forces.The melt is a boon for newly arable, mineral rich regions of the Arctic, such as Greenland-and for the man-made snow trade. Drought creates opportunities for private firefighters working for insurance companies as well as for fund managers backing south Sudanese warlords who control local farmland. The deluge-rising seas, surging rivers, and superstorms-has been our most distant concern, but for Dutch architects designing floating cities and American scientists patenting hurricane defenses, the race is on.By letting climate change continue unchecked, we are choosing to adapt to a warming world. Containing the resulting surge will benefit some, but much of the planet will suffer. McKenzie Funk has investigated both sides, and what he has found will shock us all.